While in Brazil last March, I often scanned the landscape for any sign of chess activity. Of course, chess is played widely in Brazil and the populous country produces some of the strongest players in Latin America. However, when I asked a lecturer about this history of chess among Afro-Brazilians, he gave me a quizzical look and mentioned that there is not much history. I could scarcely believe this to be true given that many types of "chess" had come from Africa. Certainly, Portugal was never known as a chess haven and its colonial subjects may not have picked up the game from their interlopers, but surely there must be some sign of woodpushers! The heart and soul of the chess club in Salvador Bahia was an Afro-Brazilian player, I knew him as "Seu" Conrado. He was probably near his eighties when I began to visit the club in 1960. Seu Conrado died probably in the early seventies hit by a car crossing the street near the chess club building. The top player at the time was Jose Pinto Paiva who won the Brazilian championship three times I think. Other players at the time: Hemar Barata, Alberto Salinas, Ruth Cardoso (deceased), Ubirajara Gomes, Salinas, Gazzaneo, Guido Tarjino. Another player was Mr. Gadelha. Two players that I mentioned and who likely still play at the club knew Seu Conrado well: Hemar Barata and Jose Pinto Paiva. As far as I know the chess club is still in the same building and there ought to be a picture of Seu Conrado on the wall. Machado de Assis, the greatest Brazilian writer ever, was apparently a decent player; I used to have two games that he played and one of them was a Sicilian! We're talking the very early 1900's! What else: I have seen on the web pages of O Globo memorabilia of his belongings and one of the pictures was of his chess set. The Bahian Chess Club started in 1929 and as you may be able to tell from the photos, was heavily frequented by immigrants and their children. This club attracted a number of foreign players who visited the region over many decades. The club went through a tough period in World War II, but in the mid-50s the club saw growth and eventually settled into a club headquarters on Gomes street… where it resides today. The club received recognition in 1960 under the Brazilian Chess Federation and thus the permission to participate in FIDE events. When looking at the photographs at the links above there still seems to be a scarcity of Afro-Brazilian players in proportion to other South American nations. Perhaps this is because chess had more of a tradition in Spain than in Portugal. It is well-known that chess or (shatranj) was brought to Spain by the Moors around the 8th century. When the Moors were vanquished from Spain around 1492, the game was remade and was brought to the western hemisphere during colonial Spanish expeditions. While Bahia was the first slave settlement in Brazil, Portuguese explorers did not carry the same chess tradition during their slave cargo voyages across the Atlantic. This is only a hypothesis and someone may be able to expound on this history. 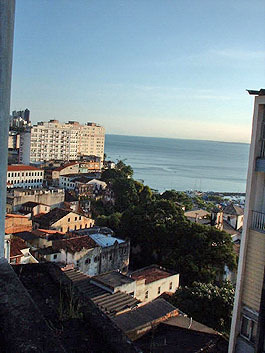 The activity in Bahia is encouraging. As I listened to the lecturer in the Afro-Brazilian museum in São Paulo, I was disappointed to hear of the lack of a chess history for Afro-Brazilians. 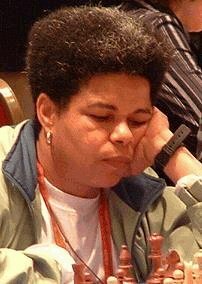 Hopefully, we will see more Afro-Brazilian players dotting the chess map.